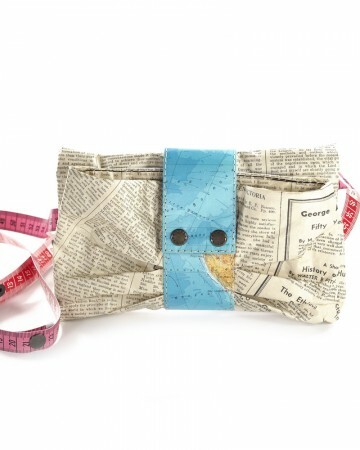 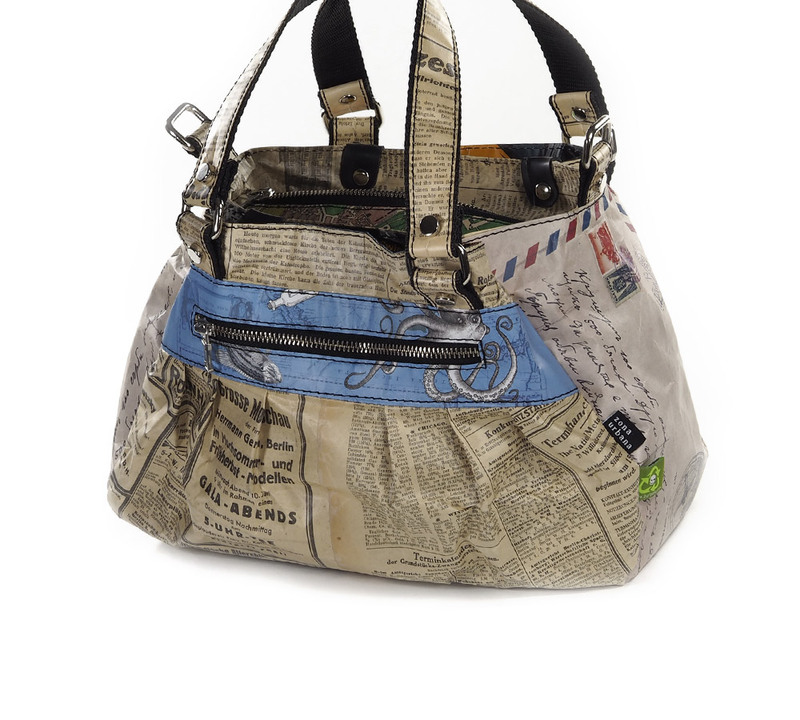 German Newspapers Bag made with 95% recycled materials. 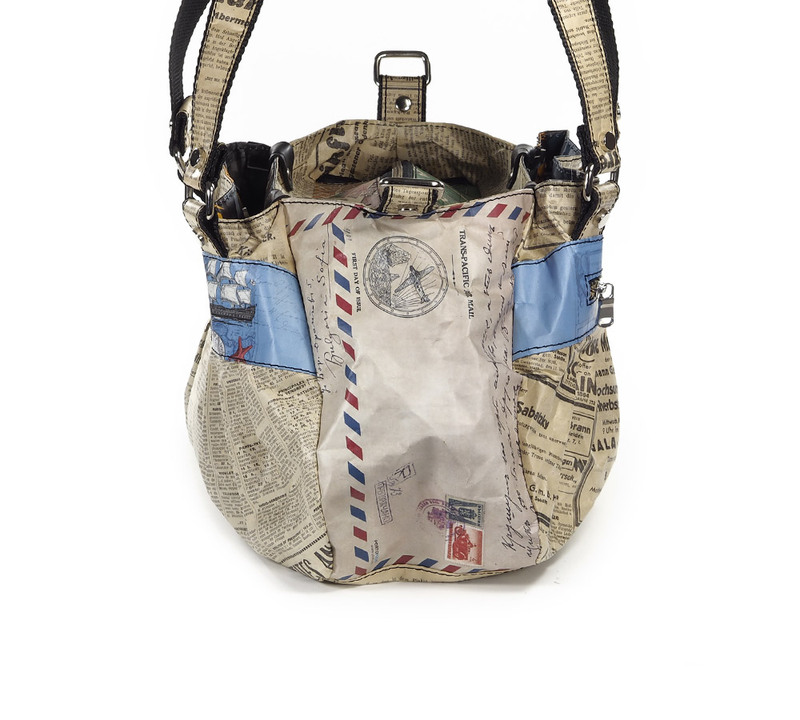 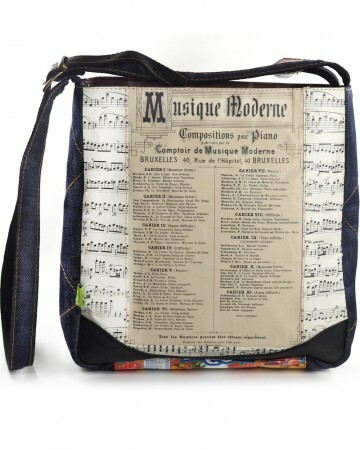 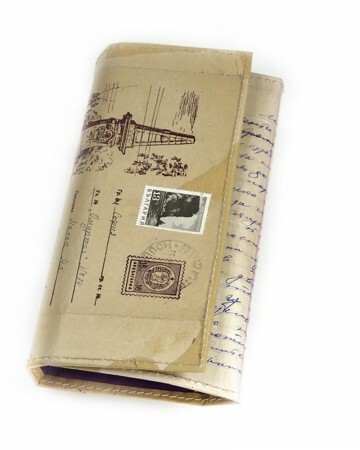 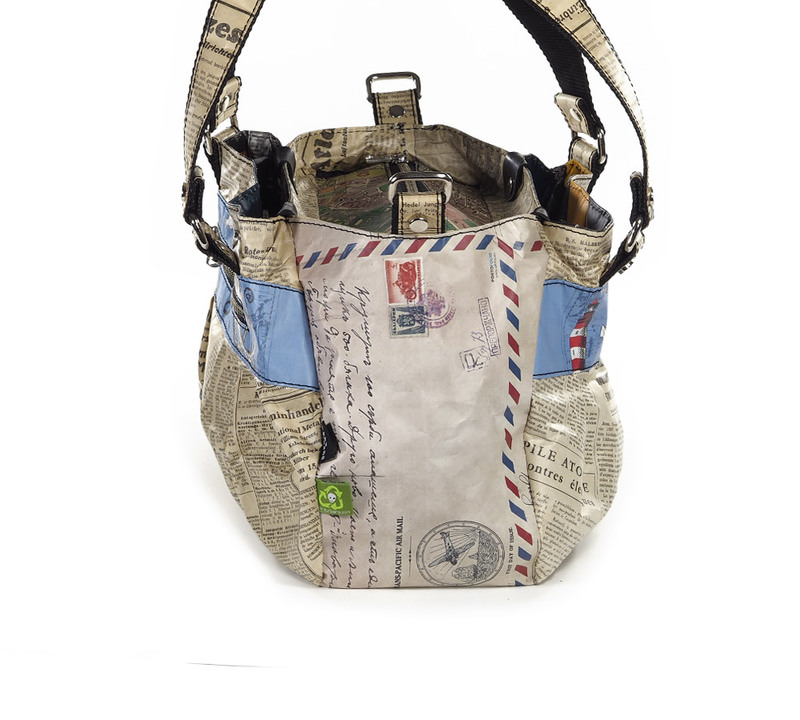 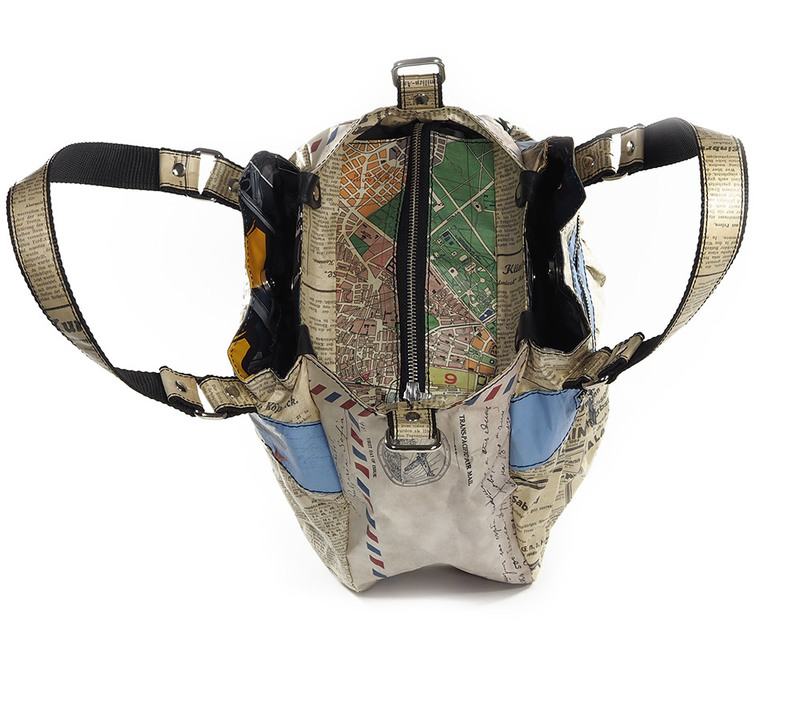 Outer: Bag is made out of German newspaper Berliner Tageblatt from 1933. 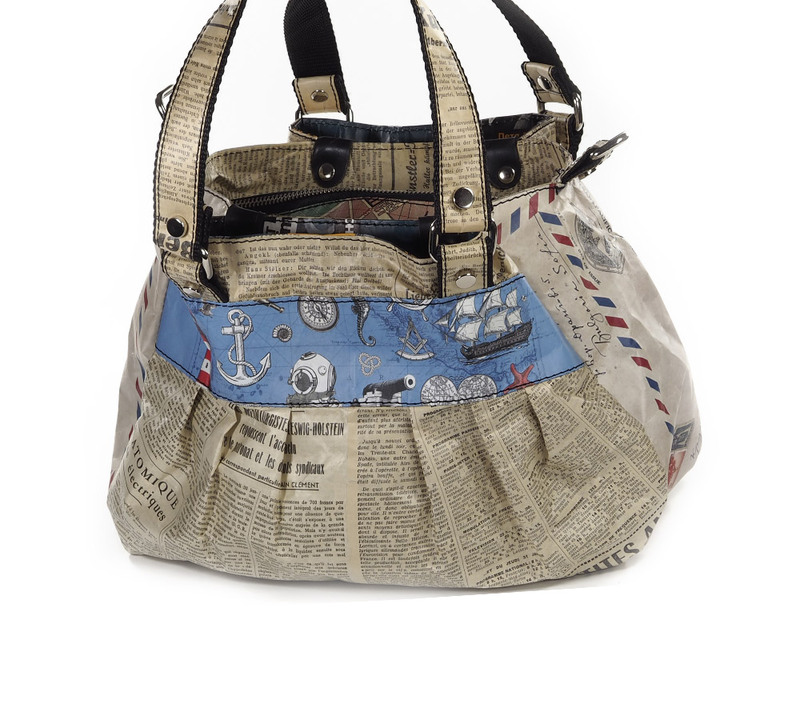 The Berliner Tageblatt or BT was a German language newspaper published in Berlin from 1872 to 1939. 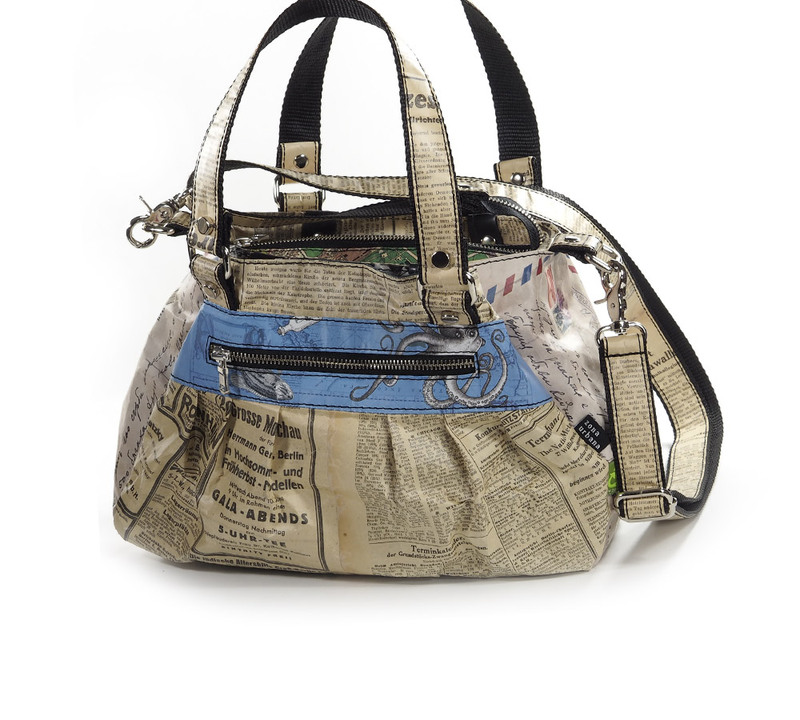 Along with the Frankfurter Zeitung, it became one of the most important liberal German newspapers of its time. 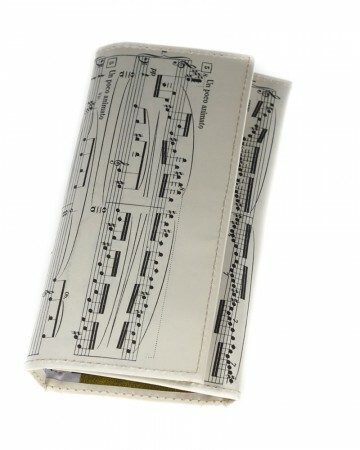 Tags: BillBoard, car inner tube, music scores, Newspaper, tetrapack.